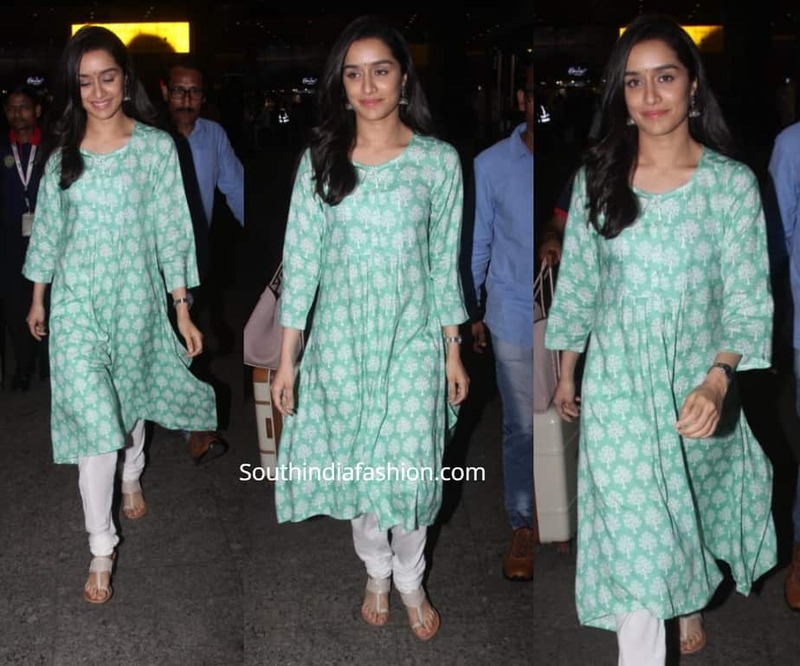 Shraddha kapoor was clicked at the airport recently. 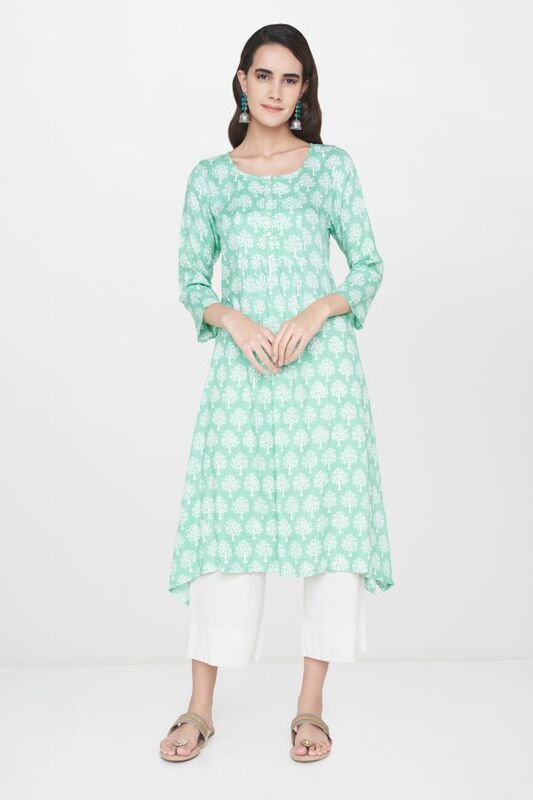 She was seen in a sea green tree print kurta by Global Desi paired with white churidar. A pair of silver jhumkas and Aparajita Toor kolhapuris rounded out the look!